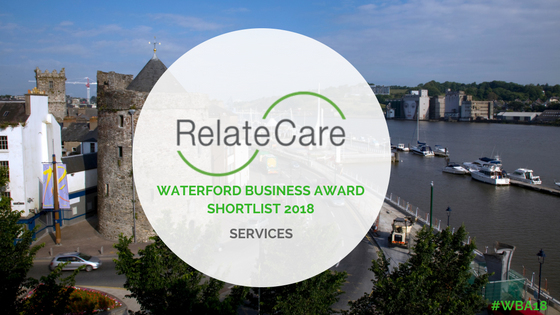 Home / Awards / We are delighted to announce that RelateCare have been named as a finalist for the Waterford Business Awards! 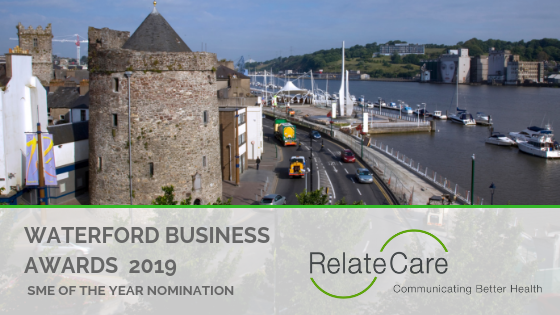 The prestigious Waterford Chamber of Commerce Waterford Business Awards, which will take place in the Tower Hotel, on Friday 8th of March, has once again recognized RelateCare for outstanding achievements, this time in the SME (Small to Medium Enterprise) category. 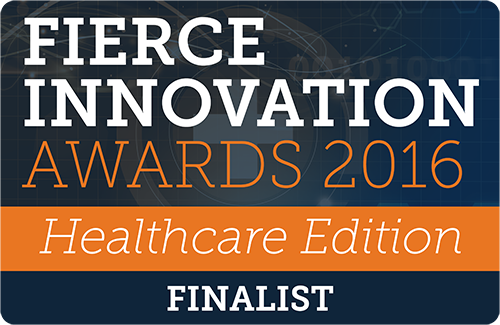 This nomination is further evidence and recognition of the incredible success RelateCare have enjoyed in the last six years, and the extraordinary impact it has had on the economic life of Waterford, in bringing jobs, growth, innovation, and global ambition to the Waterford business community. Founded in 2013 with just five employees, RelateCare began as a joint venture between Waterford contact-centre solutions provider Rigneydolphin and one of the world’s leading health systems, Cleveland Clinic, following a relationship which began in 2009. Since then, RelateCare has experienced spectacular growth and now employs over 240 people, including Patient Access Representatives, Registered Nurses, consultants, and contact-centre experts, at several locations, including an office in St. Louis – Missouri, a state-of-the-art Patient Coordination Centre in Cleveland – Ohio, and a Global Healthcare Communications Headquarters in Waterford – Ireland. Unlike your typical contact centre company, RelateCare is 100% dedicated to the healthcare industry and focuses on providing high-quality, best-in-class patient services to leading global health systems who wish to improve how they communicate and connect with their patients, which allows patient to access care in a more convenient and simplified manner. RelateCare help health systems to create an elevated patient experience for patients and their families. RelateCare count among its partners 4 of the top 20 health systems in the USA (as ranked by U.S. News and World Report) and also manages the hugely successful smoking cessation service (www.quit.ie) and lactation consultancy program (www.breastfeeding.ie) in conjunction with Ireland’s Health Service Executive (HSE). We at RelateCare take huge pride in our Waterford roots and will continue to work to connect Waterford to the global healthcare industry so that we can bring jobs and opportunities to Waterford while continuing this incredible journey to revolutionize how healthcare providers connect and engage with their patients.